As global food systems face multiple threats and challenges there is an opportunity for social movements and civil society to play a more active role in building social justice and ecological sustainability. Drawing on case studies from Canada, the United States, Europe and New Zealand, this edited collection showcases promising ways forward for civil society actors to engage in governance. The authors address topics including: the variety of forms that governance engagement takes from multi-stakeholderism to co-governance to polycentrism/self-governance; the values and power dynamics that underpin these different types of governance processes; effective approaches for achieving desired values and goals; and, the broader relationships and networks that may be activated to support change. By examining and comparing a variety of governance innovations, at a range of scales, the book offers insights for those considering contemporary food systems and their ongoing transformation. 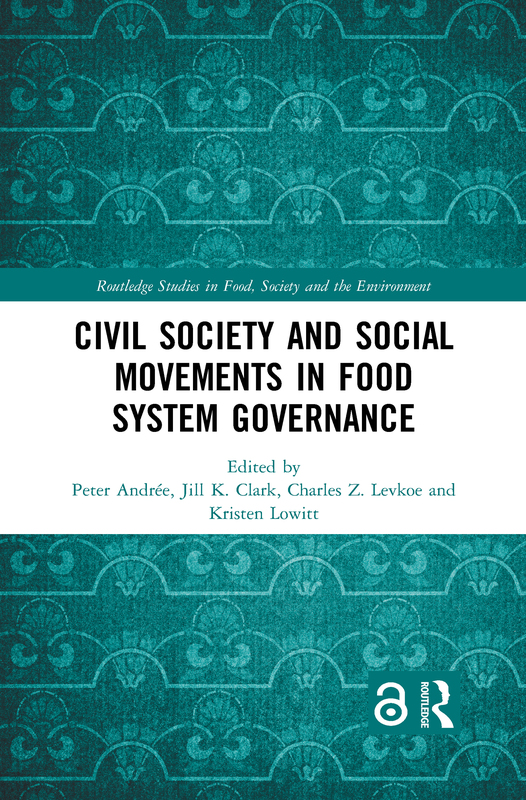 It is suitable for food studies students and researchers within geography, environmental studies, anthropology, policy studies, planning, health sciences and sociology, and will also be of interest to policy makers and civil society organisations with a focus on food systems.